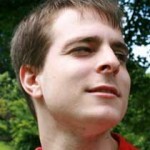 Igor Wiedler has been a contributor to phpBB for over five years, currently as a core developer. He recently joined the Symfony community and made several contributions to the Symfony2 core and other projects in the ecosystem. He also became co-developer of the Silex microframework after making some major contributions to code and documentation. Igor lives in Winterthur, Switzerland.